nursery - headless mug part of nursery set? headless mug part of nursery set? I found this mug yesterday while op-shopping. Was puzzled until I looked in my books and found the Nursery ware set Pirate Pete, the cup was the body. 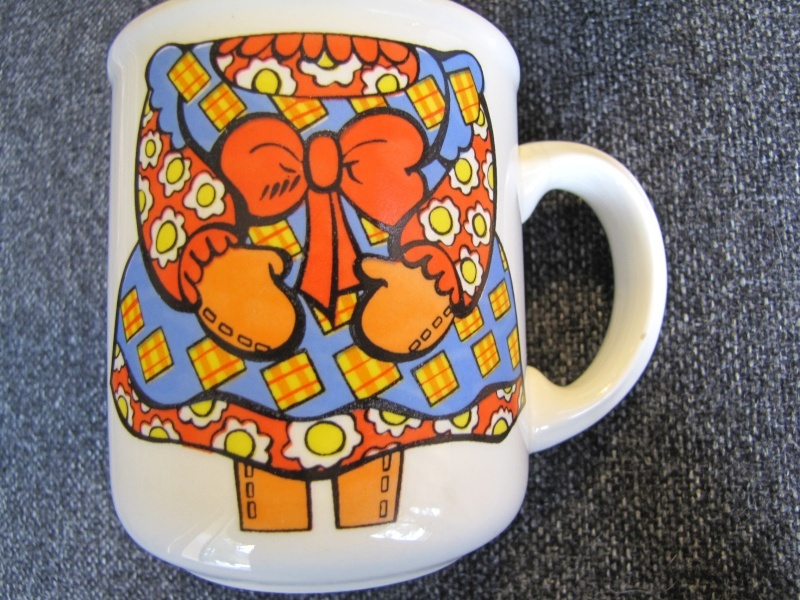 I am thinking this one is the body of Raggedy Ann? Re: headless mug part of nursery set? Thanks for that, wow, scary face! Perhaps that is why there are not many around!